[by Hwang Ji Hye/ translated by Yanchingsally Chu] How should we honor beautiful girls? 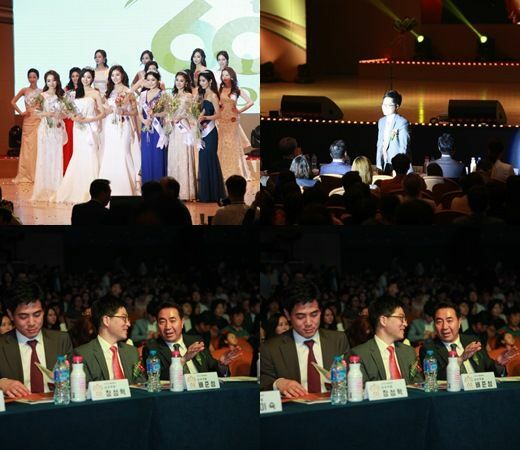 Bae Joong Sung, the director of JK Plastic Surgery Center, participated in the glorious pretty women contest as a juror. He was the only juror from the plastic surgery field. Director Bae who is a plastic surgeon from JK Plastic Surgery Center that leads K-beauty was one of the jurors of the 60th ‘2016 Miss Korea Contest’ held in COEX Auditorium, Samsung-song on May 8. He carefully evaluated the performance of candidates who will represent Korea to promote the beauty of the country to different places in the globe. The candidate selected in ‘2016 Miss Seoul Contest’ will be qualified to participate in the upcoming ‘2016 Miss Korea Contest’. As the only juror from the plastic surgery field, director Bae screened all candidates who represent the beauty of Korea. For the sake of medical tourism and the safety of foreign patients, JK Plastic Surgery Center is equipped with US FED, Standard209D system of which air mat and air shower are placed at the entrance of operating rooms. Also, cutting-edge anesthetic and anesthesia machines fitting the standards of universities’ hospitals and UPS (Uninterrupted Power Supply) system that regularly runs examination to ensure the safety of surgery even during blackout are available.